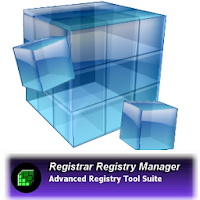 Apart from common features, like those offered by the native Windows registry editors (regedit.exe and regedt32.exe) this program offers a solution for backing up and restoring registries, fast background search and replace, a bookmark editor with categories which supports key coloring and adding descriptions to registry keys and values, detailed property pages, tools for easy navigation. The program offers multi-level undo so all registry changes can be individually undone. The software offers a registry defragmenter, a registry monitor which logs l changes made to the registry by external programs as well as security editors which allow you to set access restrictions on your registry keys.